Our morning started off at the Sao Paulo metro control center where we were able to see the control room that provides traffic control, electrical system control, and passenger control for four of the five metro lines. 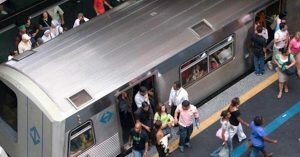 The Sao Paulo metro network consists of 74.2 kilometers of track and 64 stations which serve an average of 3.7 million passenger boardings per day (2013). 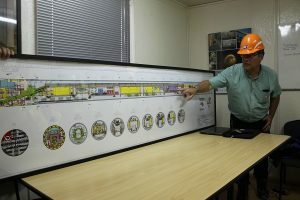 Mr. Wilson Lopretto, the Head of the Department of Centralized Operation and Traffic, and Guilherme Braidato Robbe, a Metro Coordinator, discussed the construction of the metro line. The addition includes failure detection, accessibility features, screen-door gates, and state-of-the-art platform screen doors that act as a safety barrier as the train arrives at the station. The construction method of each metro line varies depending on the length of the track and soil condition. 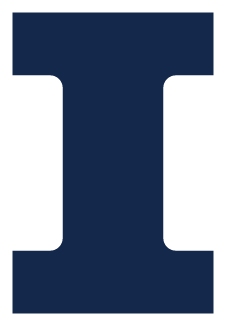 The tunnel placement is done by the cut and cover method, typical excavation and pour, or by using a tunnel boring machine. The group then traveled to the construction site of the subway station for line number five. The construction includes 11.4 km of track and 11 stations. The contractors on the job are Andrade Gutierrez and Camargo Correa. 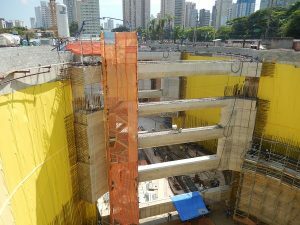 Professor Antonio of Escola Politécnica and Professor Vitor helped facilitate the tour and explained the different construction methods. The tunnel walls of the station were made up of three massive concrete cylindrical shells which were placed by a hydromill. The hydromill cut down into the soil and concrete was placed from the bottom up as the hydromill was raised. The circular diaphragm walls are self-sustaining and do not require shoring. In addition to the diaphragm walls, a moisture barrier and concrete wall was in the process of being placed. The construction process is to first complete the stations and then join them with the tunnel boring machine. 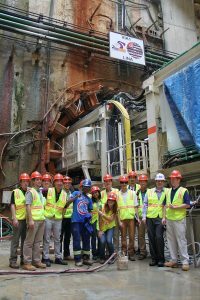 The conclusion of this tour was at the site where the tunnel boring machine (TBM) was preparing to join the subway stations which are about 1000 meters apart. This 100 meter long machine was placed in an excavated pit in order to begin the boring. The machine cuts through the rock/sand at 15 meters/day while placing prefabricated concrete rings along the walls of the tunnel. The TBM is operated by 10 workers but the drilling and placing of the tunnel segments are done by computer software. The predetermined path of the tunnel is entered into the program and the machine is then able to make precise turns if necessary. Since the elevator lift was being fixed, the GLCM group decided to take the 10-story flight of stairs into the excavated pit. After catching our breath, we were in awe at the structure system that was built to provide a support mechanism for the initial thrust of the TBM.